The next time someone asks you if you're “in the zone,” you may ask which zone they're referring to. If you're standing in the kitchen, the answer should be self-evident – at least if you're as organized as kitchen designers say you could be. They recommend grouping your kitchen activities around three critical zones: the refrigerator, sink and range-oven. Since key functions take place in each of these zones, certain tools and accessories should be stored close-by to enhance efficiency. While everyone can benefit from this “kitchen rethink” exercise, it may be particularly useful for people who hurriedly unpacked their kitchen when they first moved in. (And that's probably a lot of people.) 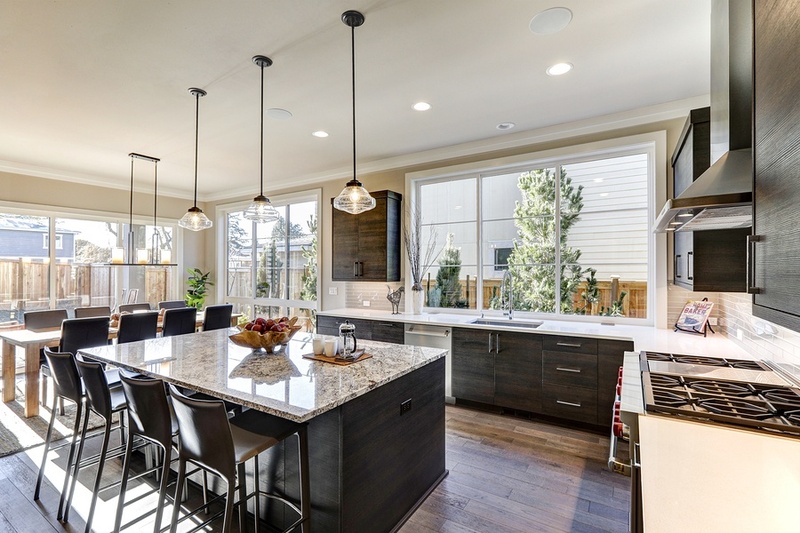 Considering most Americans spend more than an hour a day in the kitchen, the “three-zone” notion should hold considerable appeal, no matter how much storage space a kitchen features. This zone sees considerable action when you arrive home with bags of groceries as well as when you begin preparing a meal. Therefore, it's helpful to have a countertop directly next to or across from the refrigerator to set down grocery bags and unload cold items in the refrigerator, as well as non-perishable items in nearby cabinets or a pantry. Ideally located between the refrigerator and range-oven, the sink zone is a virtual magnet for activity, between food prep and clean-up activities. Uncluttered counter space is vital, as are garbage and recycling containers within arm's reach to reduce spills. Anything and everything that involves the cooking process ought to be included in this zone. An important inclusion: a counter to set hot food and to transfer food to serving dishes. The closer this zone is located to your eating area, the more functional it is likely to be. Like any design concept, the “three-zone” kitchen is meant to be flexible and tweaked to reflect the habits and needs of the person or people who use it. Consider it a starting place – and the addition of interior window shades from Polar Shades as a fitting way to conclude your kitchen reorganization. Call 702-260-6110 to schedule a free in-home consultation with the window and lighting experts of Polar Shades and ensure you maximize the light entering your kitchen – in any and all the zones you choose to create.